Extending the half-cent sales tax due to expire in 2023 would be “one of the key foundational ingredients” that could be included in a highway plan presented to voters, Gov. Asa Hutchinson said Tuesday (Nov. 13). The governor mentioned extending the tax to reporters after speaking to the Arkansas Good Roads Foundation. Voters approved the tax to fund the Connecting Arkansas Program in 2012. It expires in 2023. 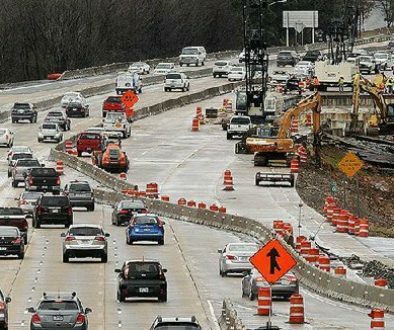 The Arkansas Department of Transportation says it has a more than $400 million annual revenue shortfall for maintaining the highway system and completing needed construction – a figure that does not include constructing Interstate 49 across western Arkansas or I-69 across southern Arkansas. The agency spends about $455 million annually on the highway system. ARDOT Director Scott Bennett said Nov. 7 in a speech to the American Council of Engineering Companies’ state chapter that extending the half-cent sales tax would reduce the additional needs to $220 million. Hutchinson all but ruled out another potential source of revenue: using existing taxes from the sales of road user items such as car parts. That money goes into general revenues to pay for other needs. Hutchinson told the foundation the state is already using $50 million in general revenues to maintain eligibility for federal highway funds – the first time that has regularly been done. He said a $400 million transfer would divert 7% of the budget to highways. When he proposed a 1% across-the-board cut when he was first elected governor, the Legislature reversed parts of it. Doing so would undermine other priorities, including his proposals to increase teacher pay and cut taxes for upper income recipients. Another issue is that the voters’ passage of Issue 4 legalizing casinos will result in a $38 million hit to the upcoming state budget. Hutchinson will present that budget to lawmakers Wednesday. 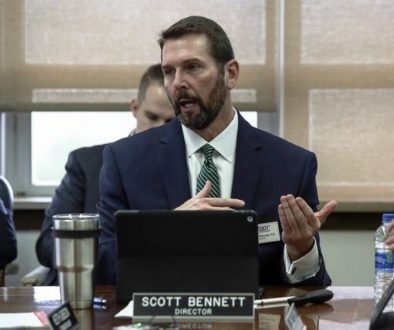 Bennett said in his presentation Nov. 7 that raising $400 million for all the state’s highway needs would require a 28.4 cent per gallon fuel tax increase, a 16.667% wholesale sales tax increase on fuel, a vehicle registration fee increase of $208, or a general sales tax increase of 1.16%. That’s after the traditional deduction of 15% of revenues for cities and 15% for counties. Hutchinson told the foundation he has indicated to cities and counties he is OK with continuing that split so long as the money is used for roads and bridges. Hutchinson said any proposal must be based on a consensus by legislators and the industry and have broad popular support, which is why he spoke about it during the campaign. Furthermore, the proposal must include not only maintenance but also new construction. He mentioned specifically I-49, I-69, and a four-lane route from Jonesboro to Northwest Arkansas. “The public … they know the need for a maintenance plan, but you’ve got to have new investment and new roads,” he told the foundation. He told reporters that a consensus on a highway plan is possible. Hutchinson said he had hoped Congress and the president would pass a federal infrastructure bill. Since it did not happen when one party controlled both branches, it is unlikely to happen now that Democrats control the House. Arkansas, like other states, must “forge our own future,” he said. “If you want to innovate in highways, if you want to have an effective highway program, you can’t wait on the federal government,” he said. 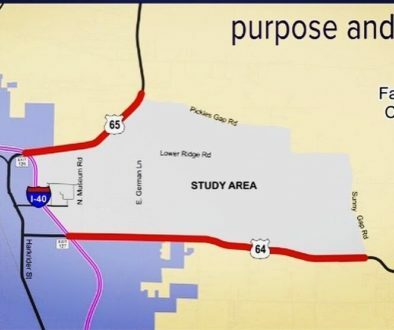 Hutchinson said he would be open to legislators simply passing a highway plan, but he has not seen a consensus regarding such a proposal.